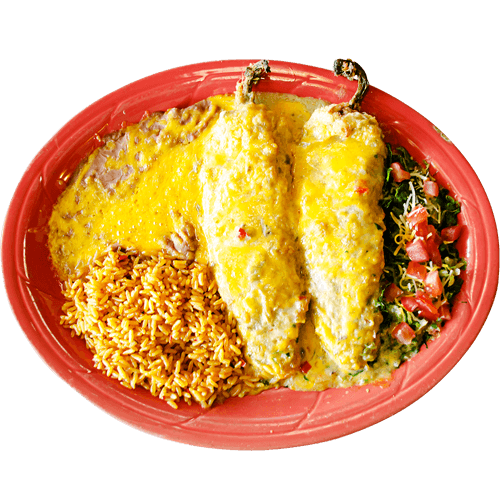 Two long green chiles stuffed w/Monterey Jack cheese, battered & deep fried, covered w/green chile sauce & melted cheese. 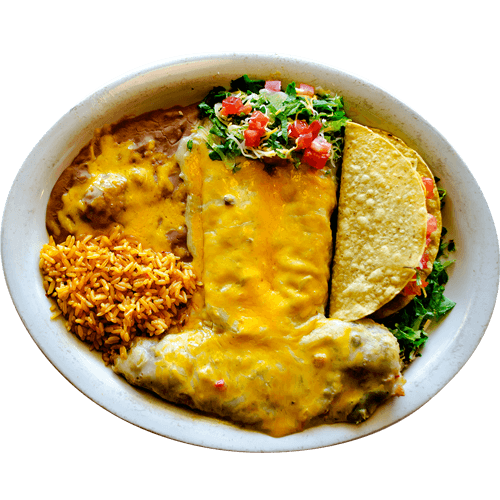 Served w/refried beans, rice & salad. 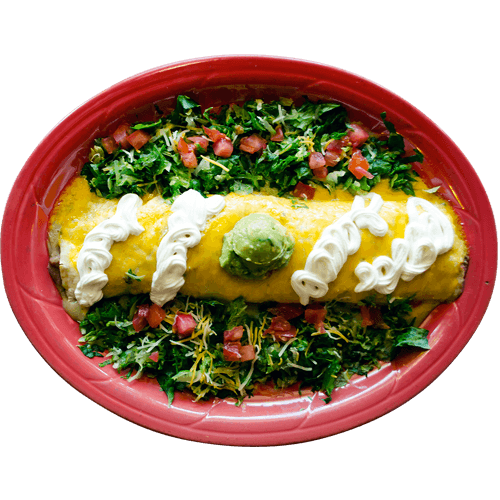 Two rolled enchiladas, your choice of beef, chicken or cheese. 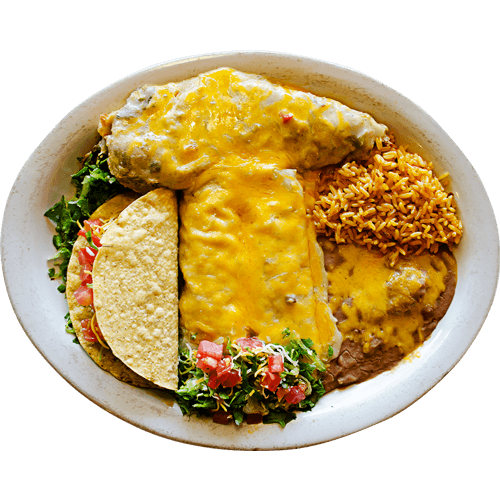 With red or green chile sauce. 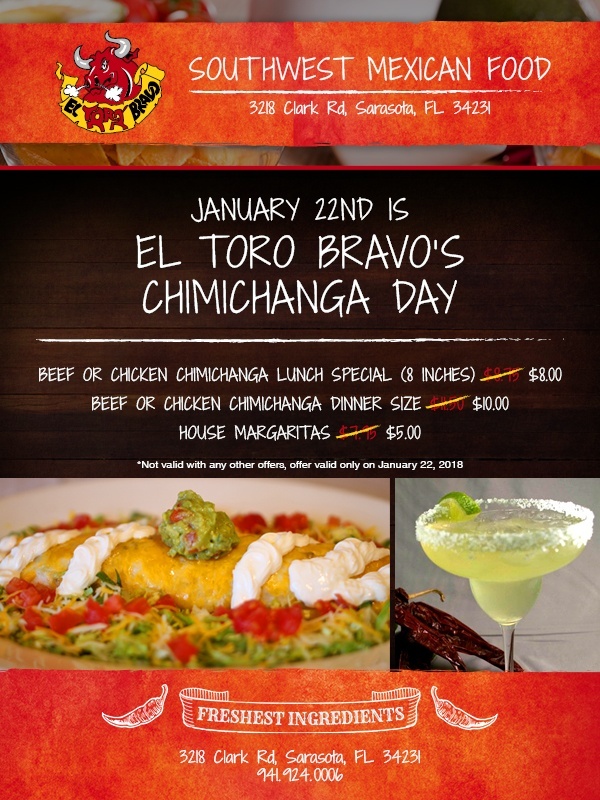 Served w/chile relleno. 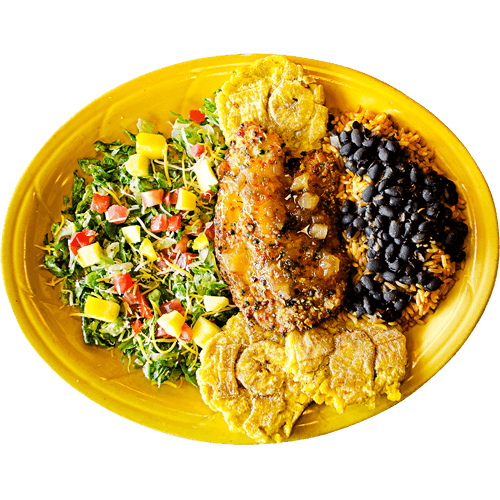 Delicious crusted tilapia w/sweet mango sauce & lime, Caribbean rice & beans, three plantains & salad. 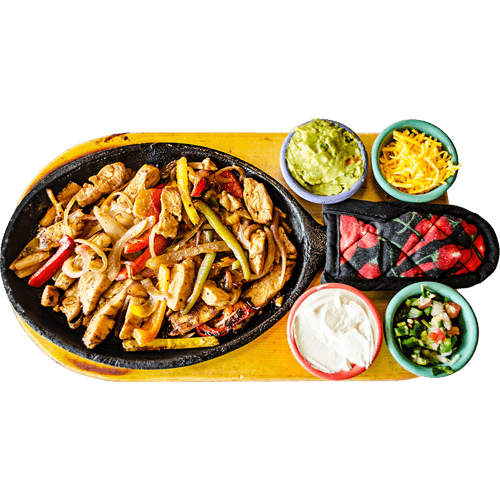 Thin strips of grilled, marinated beef or chicken, sautéed onions & multiple color bell peppers, guacamole, sour cream, cheese & pico de gallo. Served w/rice, refried beans & three flour tortillas. 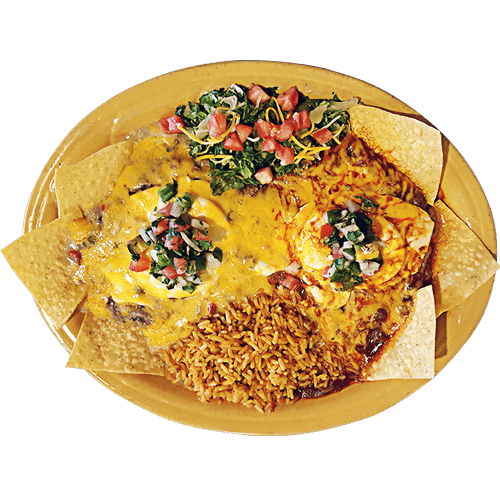 Two fried eggs over corn tortillas, beef or chicken, beans, red or green chile sauce, served with salad & rice, topped with melted cheddar cheese. Savory rib-eye, char-grilled to order, covered w/Tampiqueno sauce. 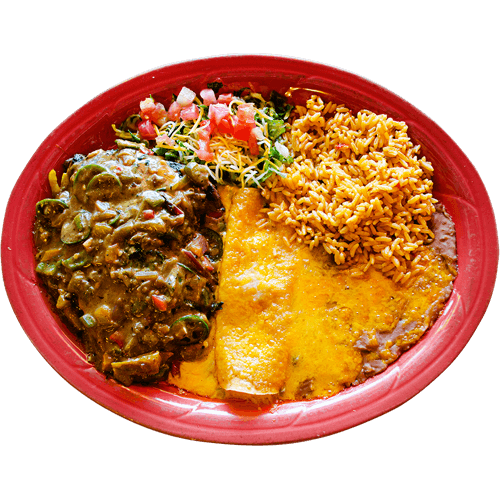 Served with a cheese enchilada, green chile sauce, refried beans, rice & salad.